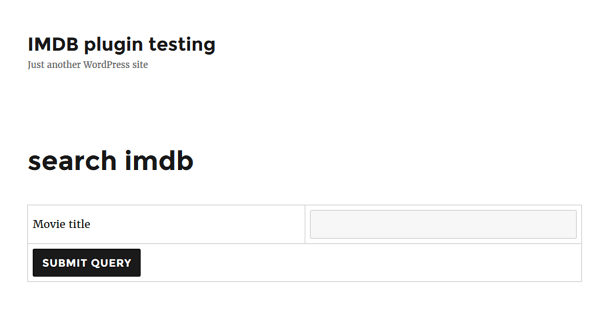 Installation and integration with imdb search wordpress plugin imdb_connector. Created new wordpress page with search form as per below image. The above wordpress page form submits to another wordpress page. A new wordpress page was created for displaying the results. A new custom wordpress page template was created. 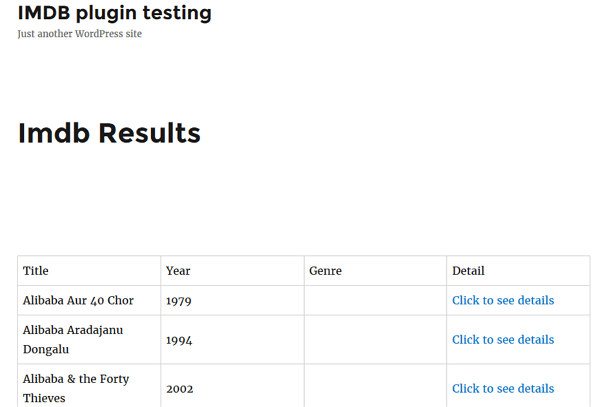 This new page uses the custom wordpress page template and it uses the function imdb_connector_get_movies to list down all the movies in the search results and then populate the wordpress page in a neat tabular format.